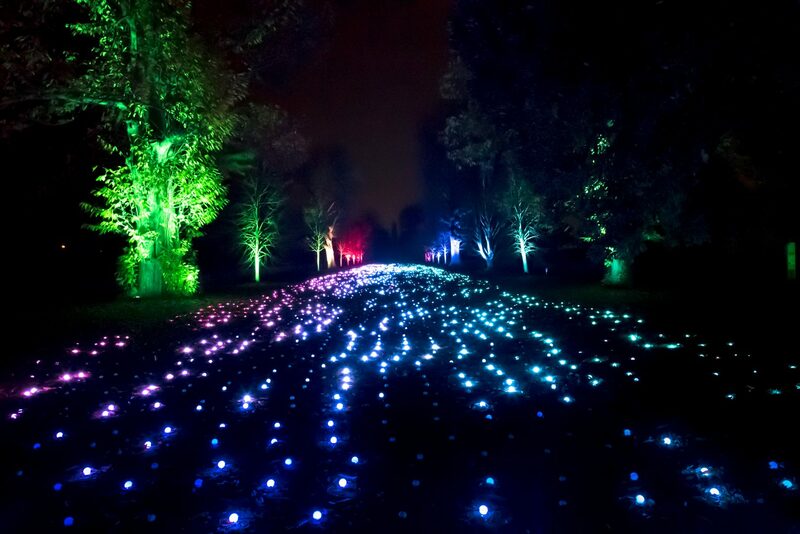 A vertical, site-specific adaptation of Sea of Light framed by illuminated natural trees that filled the horizon, extending nearly 180 meters into the distance. 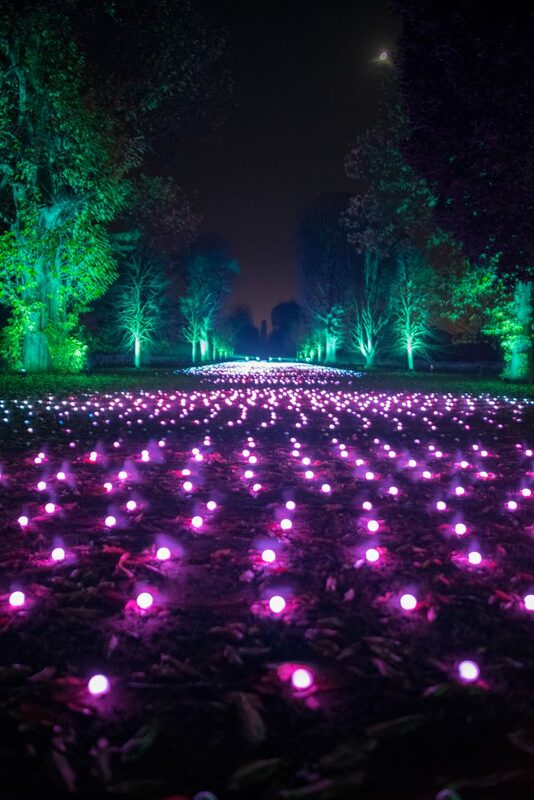 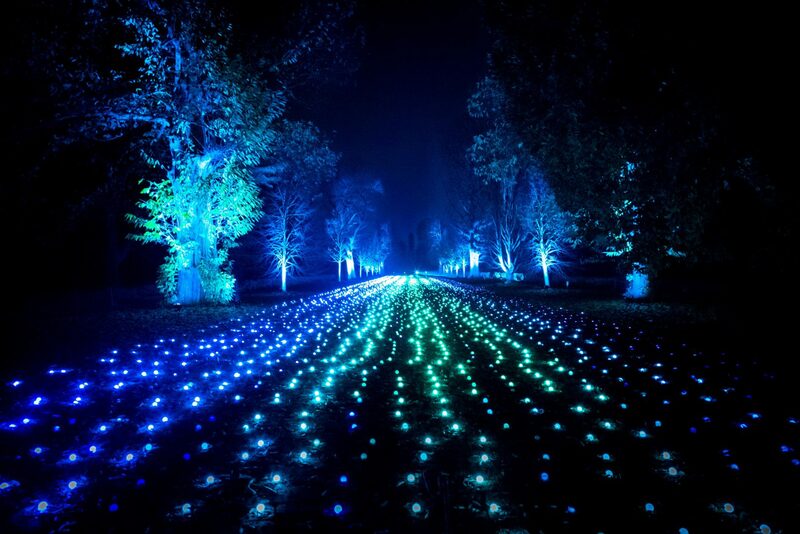 The Sea of Light at Christmas at Kew 2018 was a site specific sound and light experience that featured over 8,500 individually controlled LED spheres, meticulously programmed and synchronised to a specially composed music soundtrack, also by Ithaca. 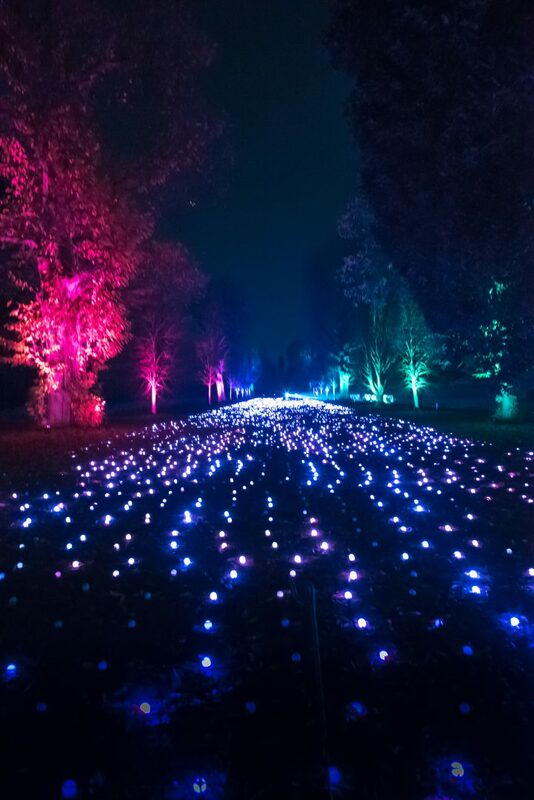 Designed to harmonise with and draw the eye to and from the famous Kew Pagoda Vista, this animated river of sparkling lights flowed across the landscape in perfect harmony with the natural heritage setting, creating a stunning, truly immersive sound and light show.